On April 5th, 2019, the hosts of VGM podcast Pixelated Audio participated in an event at the Library of Congress in Washington DC celebrating video game music. The event became a nexus for several podcasts, as the hosts of Rhythm & Pixels, Sound Test Roulette, and The VGMbassy all attended to support their peers at the talk! Now, you can’t get all of these hosts together without recording a super special episode, right? 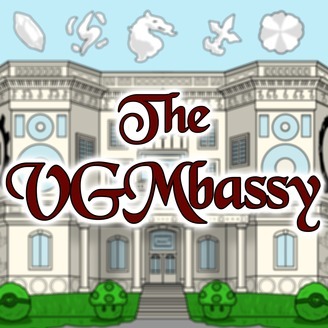 On this episode, join Bryan and Gene from Pixelated Audio, Emily from Sound Test Roulette, and Ed (with special guest Logan) from The VGMbassy as they chat about their journeys in DC and share music with an American theme. Please also check out the Pixelated Audio feed for another show recorded during the same weekend, with even more awesome guests! Please listen to my guests’ VGM podcasts at https://pixelatedaudio.com and http://www.soundtestroulette.com for different perspectives on video game music and culture! 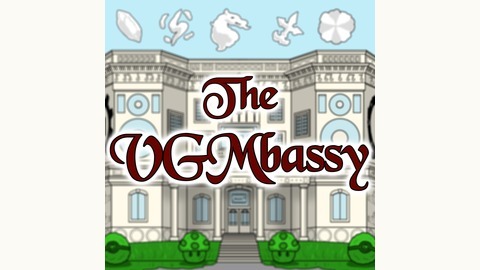 Check out the VGMbassy Patreon for some fantastic bonuses, including exclusive podcast content! Thanks to our supporting Patreon patrons, who help make this show possible: Chris Murray, Cameron Chiles, Shoryukenny!, Michael Bridgewater, Chris Myers, Donovan Orofino, Ben “The Diad” Dishman, John “Mixxmaster” Jekel, Chris Steenerson, Jordan Werme, Cameron Werme, Kung Fu Carlito, Scott McElhone, and Alex “The Messenger” Messenger. 2 – “Lady Liberty” from Code Name: S.T.E.A.M. (3DS, 2015) Composed by Yoshito Sekigawa, Dimension Cruise Studio, and Procyon Studio Co. Ltd.